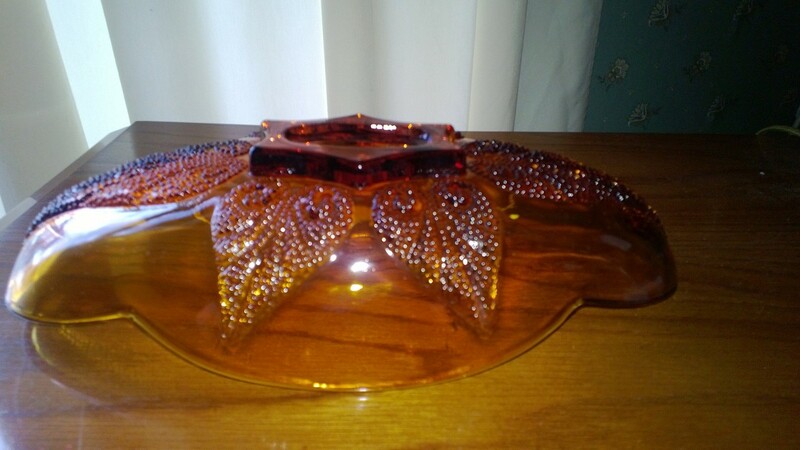 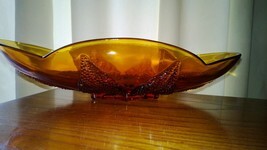 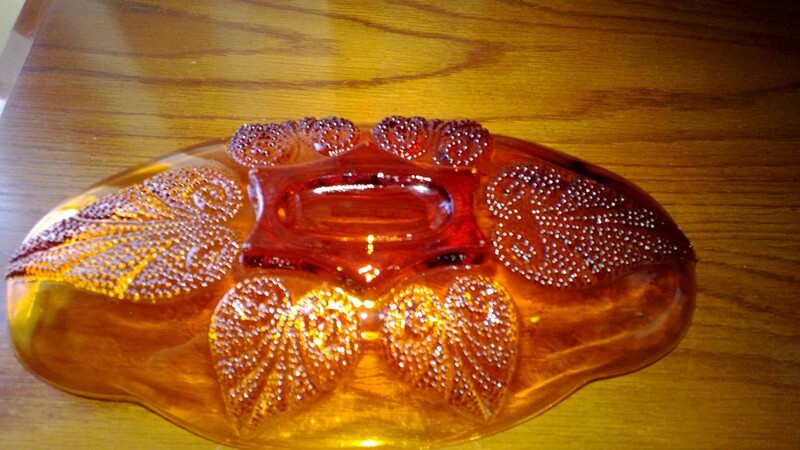 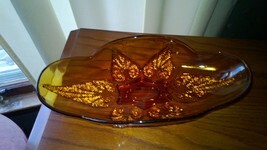 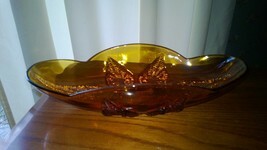 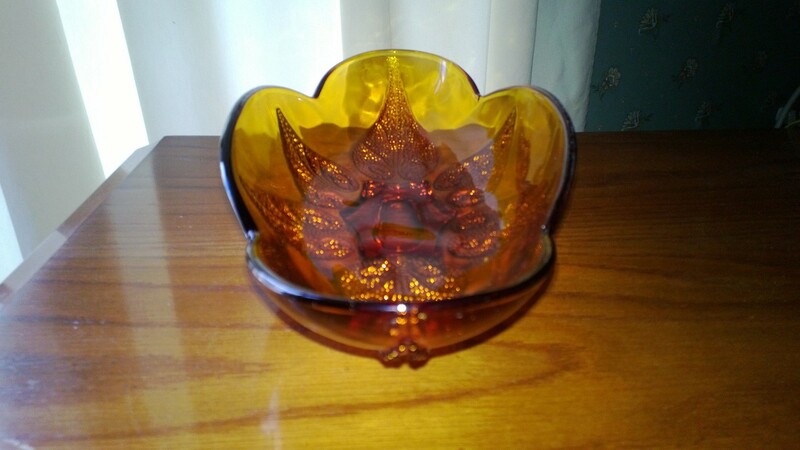 This is a very pretty amber glass dish. 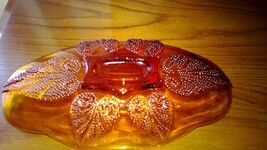 It is oblong with a huge scalloped rim. The underneath side of the bowl has 6 raised beaded leaves. There are a couple of manufacture flaws in the glass.Some scratches from use.The dish is approximately 10 inches long by 5 inches wide.Please email if you have questions and thanks for looking!